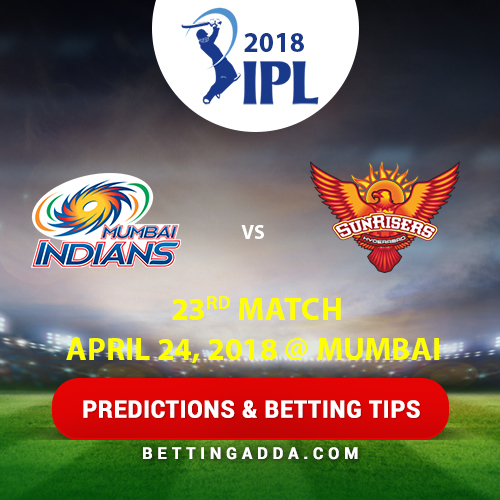 Sunrisers missed top spot after losing to CSK, can they win this match against struggling home team MI? In trading we don't ask who will win. You will not get winner team name here. You have to trade and make profit on both sides. It's a separate strategy which you can buy if you wish. Tips are already posted above. Isi page pe upar dekho Trading Tips section me. Dikha? I've updated tips above under Trading tips section. Let me know if that is clear for you or you need more details? Woh posting date hei. Date ko mat dekho, content dekho. Hum 1-2 din pehle tips post karte hein. All predictions and tips pass for this match. Puchilla struck. MJ may strike.